Monroe County Business Development Corporation Appoints Vice President, Business Development! We are pleased to announce the appointment of Matthew R. Vanisacker to the role of Vice President, Business Development. Mr. Vanisacker comes to the Monroe County BDC after serving as the Director of Constituent Relations for Senator Dale W. Zorn. Prior to joining the Senator’s staff, Matt held internships with the Hershey Company and Floral City Beverage in Monroe. 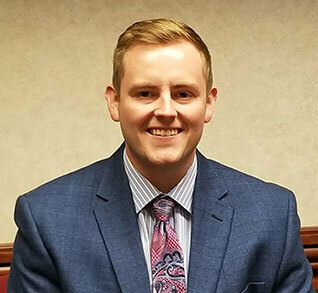 He graduated in May of 2017 from Hillsdale College with his bachelor’s degree in Marketing Management and is an alum of St. Mary Catholic Central High School. “We are pleased and excited to have Matt on board at the Monroe County BDC. We feel his prior expertise and love for Monroe County will provide a solid foundation for work with our manufacturers and partners,” stated Tim Lake, President and CEO of Monroe County BDC. “With the Monroe County Link initiative in full force and other similar projects taking off, we are confident in his ability to lead and add value to our mission and vision for our community,” continued Lake.